Our first networking event of 2017 happened this past Saturday. As my first networking event, I wasn’t exactly sure what to expect. Not only was I attending for the first time, I was also the keynote speaker! But if anything, what I have learned from working with grassroots organisations is that rising to the occasion is half the fun of the work, along with never knowing what is to come around the next corner. As the focus for this event was around fundraising, it simply made sense that I would share my knowledge of fundraising with our partner organisations. One of CHOSA’s core focuses is building ownership into the process of development, and thus also fostering self-sustainability. For this reason fundraising is a key area in which our partners need to understand and implement, in order to gain access to more funding that can further their work to improve the lives of orphaned and vulnerable children. 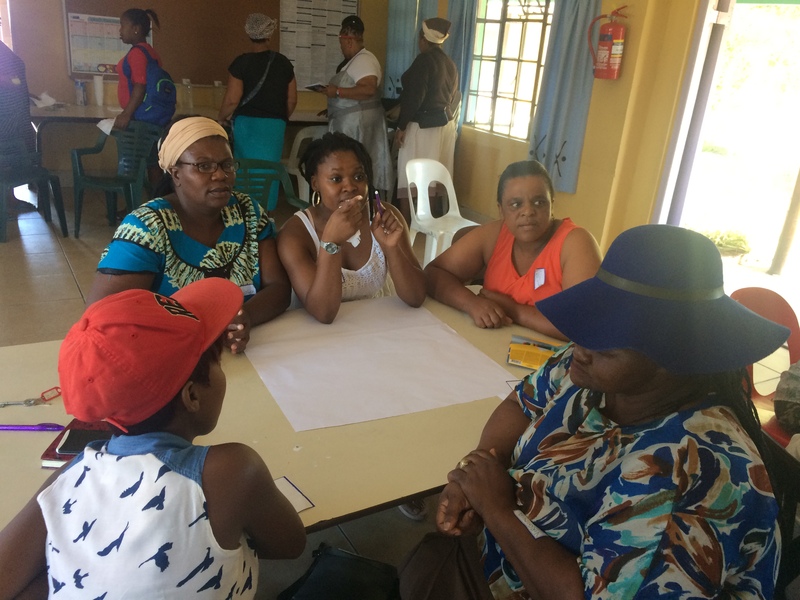 In the process of settling into my role as fundraising coordinator at CHOSA, I have had to identify for myself the best practice approaches to fundraising that I would be organising my strategy around. And while fundraising can be a monster of a task at times, as not many people enjoy asking others for money, I have come to learn that it’s more about relationship building than anything else. This is truly what best practice fundraising is centred around. Within fundraising then, relationship building is easiest when incorporated with sharing passions. This networking event had brought together women from six different organisations who shared in the common goals of educating, loving, and protecting the lives of the orphaned and vulnerable children in their communities. While their work varied from teaching, to caregiving, and principle to staff, the one area that I identified that all of these women had was passion for their work. In fact, most of them wouldn’t even consider their work to be work at all. Rather, love in action. And this is where the basis of their fundraising must come from. As they continue to work hard to maintain their daily operations, and seek out funding and support from both their communities, and external sources, I passed this message along to them: their fundraising should come from the heart. Of course, I also felt it necessary to give them a general step-by-step process of how to fundraise, which aims to streamline and guide their approach with a specific strategy and goal. But I hope that the greatest take away that they received from this networking event is that they already possess the skills to be talented fundraisers. It’s innate to who they are as individuals, as many of them are the founders of such initiatives that work tirelessly for these children, and that passion is what fuels them being able to operate in the first place. While funds are necessary, and that is where YOU come in, these women have done a great job to get the ball rolling, identifying a need in their communities and making change happen. Passion fuels fundraising, and after attending my first CHOSA networking event I have come to recognise that these women are already well equipped. If you’re able to support the passion and initiative of these women, CHOSA would love your support. Please go to www.chosa.org/donate to make a donation today!